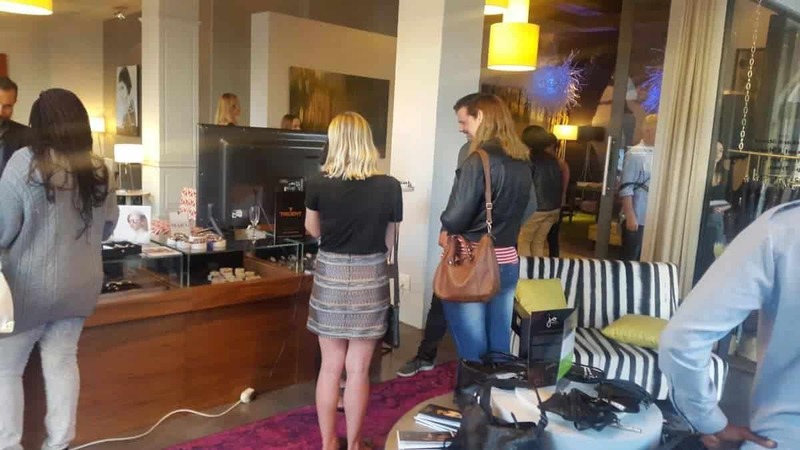 I was invited to the Pop in shop hosted by Voices, a contemporary group aimed at bringing women together and boy was I pleasantly surprised by it not being just another opportunity to shop. 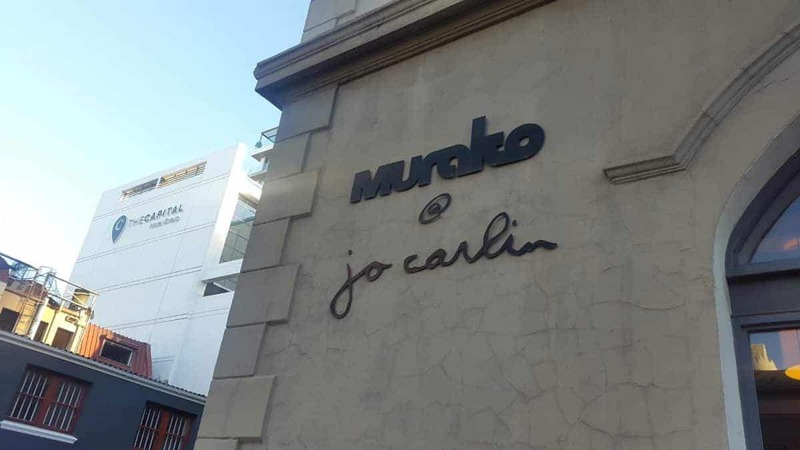 The Jo Carlin store where the pop in shop was hosted, was something worth more than writing home about and if you love art and decor then you’re bound to be mesmerized by how beautiful everything is. 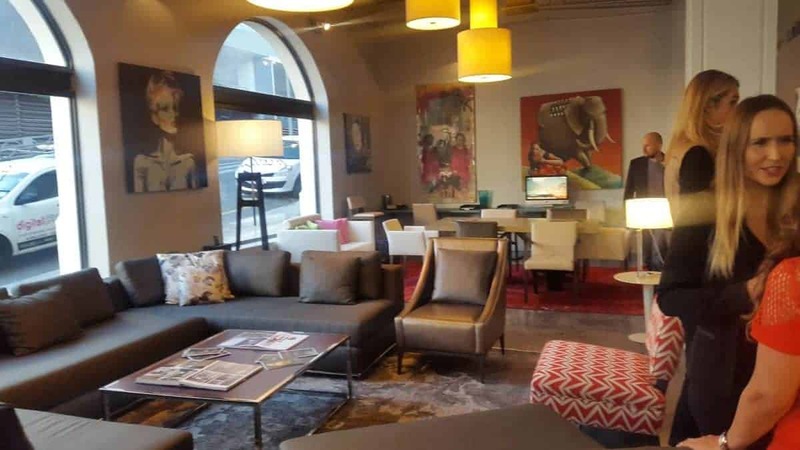 The walls are filled with contemporary art pieces and the floor filled with some of the most beautiful furniture I have had the pleasure of putting my tush on. Let’s just say, I was no longer just there to look at all the beautiful clothing! 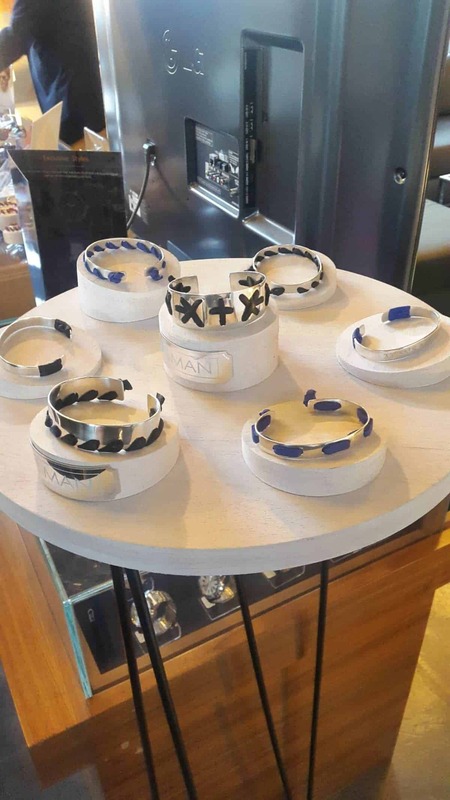 Local brands were the call of the day and as an avid shopper and supporter of as many things local as possible I must say my view on the quality of fashion on the South African market has definitely changed dramatically especially my views on jewelry. The brands who showcased their work were DIVA and Kings Denim, Trident timepieces, Mara jewelry and Ross and Brown eyewear and all of them, although distributed internationally, are readily available which makes for easy shopping o line for those of you who hate standing in long lines in clothing shops. Diva and Kings Denim is exclusive brand for those who want a pair of the good stuff made locally and found only in certain stores or online. We all know that feeling of walking into a room and finding your outfit on someone at the same party or event and with this brand I can assure you it won’t happen. Each item of clothing made with the highest quality of denim and cotton and is refreshingly comfortable with great attention to detail. With their lead designer having worked on brands such as Levis and Tommy Hilfiger the best is only to be expected. 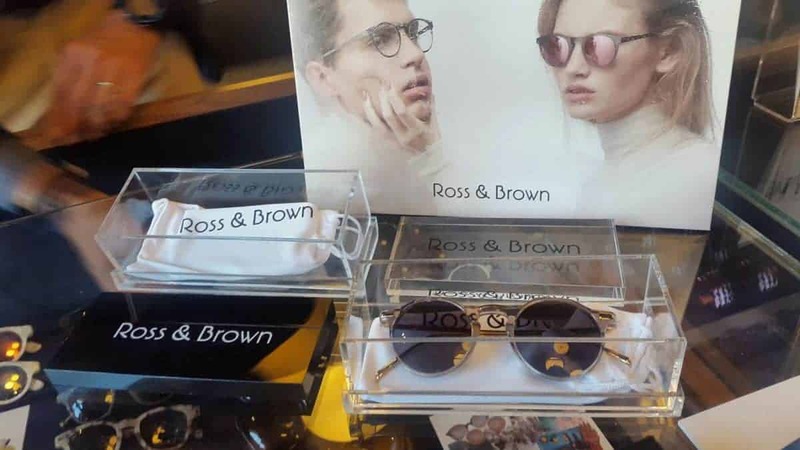 Ross and Brown eye wear was inspired by the European fashion movement of the 60’s, 70’s and 80’s and has a fresh take on the materials used to produce comfortable, yet stylish eyewear. Using fabrics like velvet on a pair of sunnies is one of those things you don’t find often and its really nice to know that there are brands out there that are not afraid to go beyond the border to bring to the market something that’s a little more than different. 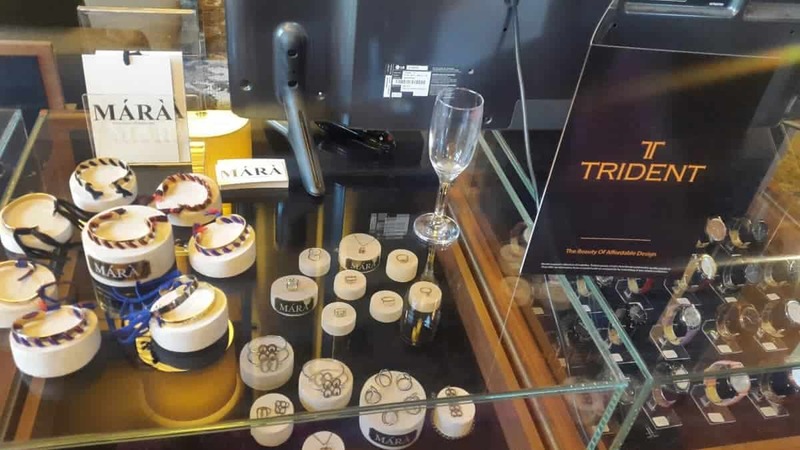 Mara jewelry and hand bags are all 100% locally made and very refreshing with its light design found even on the chunkier pieces. A mix of leather and pure metals such as gold and silver are found in the collection ranging from dainty single rings to those converted eternal pieces good enough to use when planning to pop the question. I love that the pave diamonds are on both gold and silver that that the designs were not just your regular girly girl items, but included a lot of abstract designs. 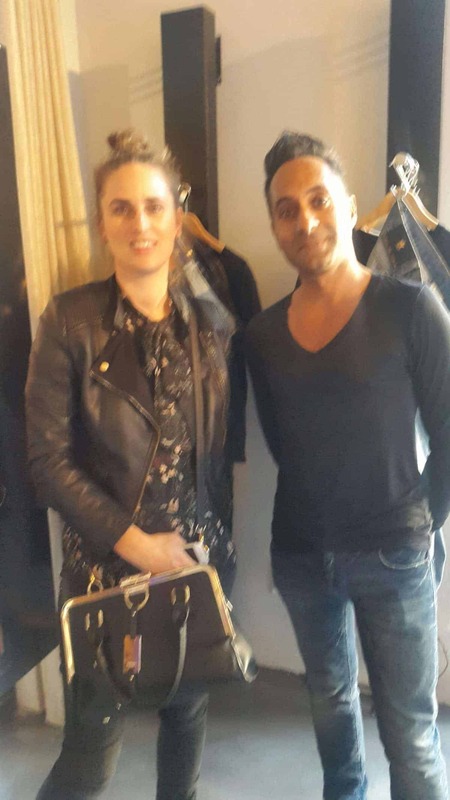 The use of ostrich skin is used to make those beautiful hand bags, clutch purses and wallets that I couldn’t keep my little hands off of and if you are ever looking to invest in a really good leather item that will last you a really long time then this is where you should be starting. Every woman should have at least one item that she can use for just about everything and this is definitely a great place to start investing. 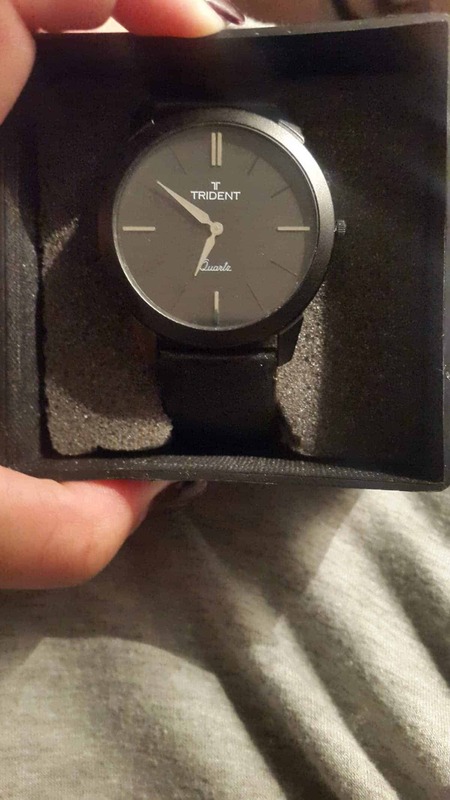 My favorite out of the lot was the exquisite timepieces by Trident. To say I am in love is an understatement by far. I was taken aback by how cheap these are in comparison to other brands found in the country, both local and international and the best part is how expensive and exclusive they look. The job was definitely well done and hats should be taken off to the brain child behind this genius brand. Personally I am a minimalist when it comes to jewelry designs and accessories and I really loved that almost everything was clean and easy to look at. There is nothing worse than a timepiece that is so over decorated that you get confused and forget what the time is! I would recommend this to anyone who wants to give a gift that will last and will be appreciated or who wants to invest in a few timepieces to wear with different outfits. Whichever reason it is, just go out and get one! 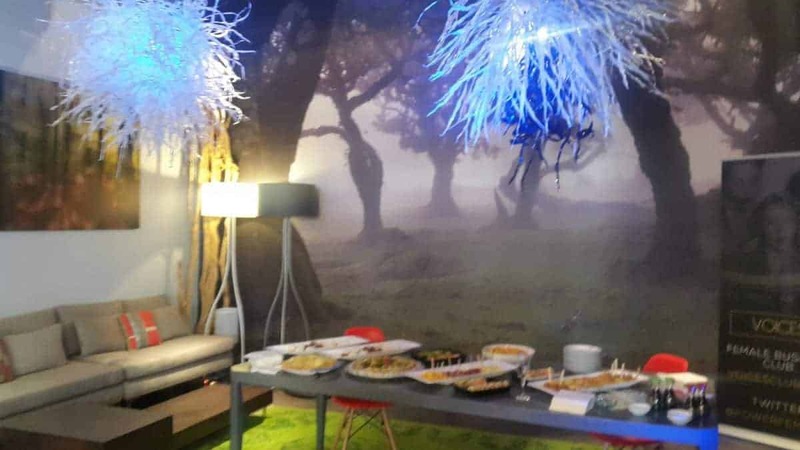 Other launches that we’ve loved recently – have a look at the Diva Jeans launch and Mash Boutique.